In 1993 an intriguing document came to light that claimed to be the diary of Jack the Ripper. 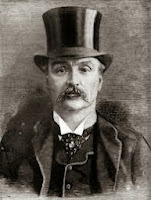 It gave the killer a name—James Maybrick—and a motive—the adultery of his wife. As I read the transcript, which is published in full and analyzed in The Diary of Jack the Ripper by Shirley Harrison, I vividly remember thinking “I don’t know whether this is true or not, but this would make a great novel, and I want to be the one to write it.” And that’s how the idea of The Ripper’s Wife was born. Though never previously a Ripper suspect, James Maybrick’s name was already well known to crime buffs. His beautiful and flirtatious young wife, Florence, stood trial in 1889 for allegedly murdering her husband with a fatal dose of arsenic. 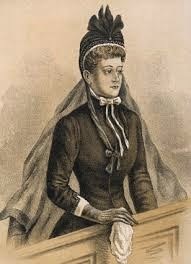 The trial was a media circus with interest in Mrs. Maybrick’s adultery often eclipsing the pivotal question of her guilt. Even the judge waved aside the complex medical testimony in favor of more titillating testimony about her extramarital peccadilloes. Bride, whether her husband was Jack the Ripper or not, her fairy tale life literally turned into a horror story. In 1880 this rather naïve eighteen-year-old Southern belle who lived for parties and pretty clothes—think Clueless in Victorian garb and you’ve got Florie’s personality down pat—was traveling with her family on a White Star liner and fell head over heels in love with a man she saw as the epitome of the elegant English gentleman. Despite the twenty-four year age difference, James Maybrick was equally smitten with her and they were married within a year. But after the honeymoon it all started to crumble. acres of worthless swampland. James represented himself as a wealthy man with a thriving cotton brokerage, but he had serious business and money troubles that only got worse in years to come. Soon the debts were piling up but the couple kept spending, buying on credit, to keep appearances up. James also had a common-law wife and five children by her, and he was a hypochondriac and a drug addict. His drug of choice was arsenic, which many men of his time took, it was the Victorian version of Viagra and an energy drink combined. Drug use may have fueled his temper, and Florie became his punching bag, hiding the bruises behind carefully applied cosmetics, and stoically enduring for the sake of the children while consoling herself in the arms of other men and with lavish shopping sprees that only added to their money woes. 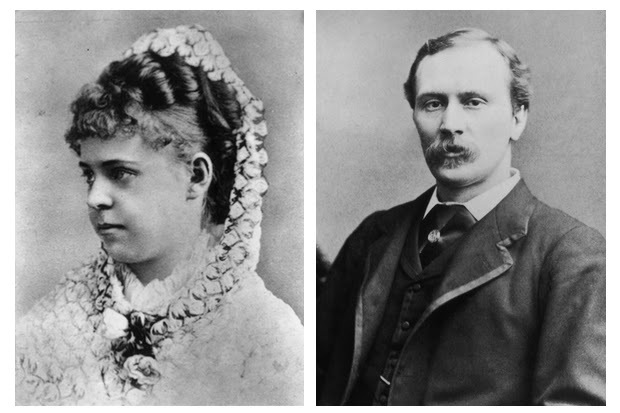 She definitely had an affair with one of he husband’s business associates, Alfred Brierley, and there is reason to believe there was also a dalliance with her husband’s younger brother, Edwin Maybrick. for years and the doctors trying to treat his final illness administered several medications and he may have secretly dosed himself during that final illness; we do know he begged for the drugs he craved. But Florie bore the blame, and after the Nanny revealed her adulterous liaison with Mr. Brierley everyone was prepared to believe the worst, even innocent remarks and actions were twisted into something sinister. Her trial was the Victorian equivalent of O.J. Simpson, even in a world before television, radio, and internet, it was everywhere, there was no escaping it, and everyone had an opinion. To save face, even beyond the grave, James’s brothers lied on the witness stand and denied his drug addiction and his sexual indiscretions were swept under the carpet. 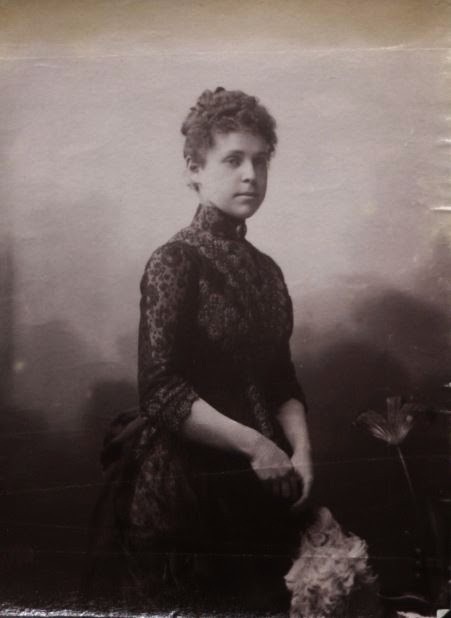 The end result was a grave miscarriage of justice; Florence Maybrick became a tragic victim of Victorian hypocrisy, and was found guilty of murder and condemned to death. In those days, there was no court of appeal for murder cases, so her only hope was a royal pardon, and Queen Victoria was firmly convinced that Mrs. Maybrick was a very wicked woman who deserved death. But a huge public outcry finally swayed the powers that be to commute the sentence to one of life imprisonment. But interest in the case did not die. 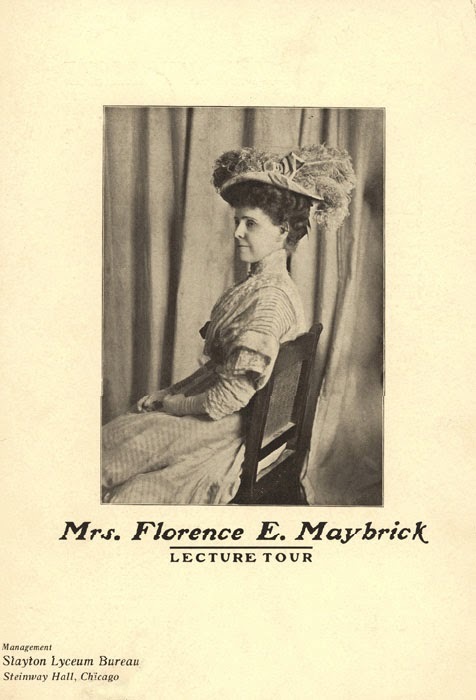 Millions of people signed petitions to set Mrs. Maybrick free. After fifteen years, and the death of QueenVictoria, that is what finally happened in 1904. But Florie had already lost everything that mattered. Her youth was gone. Her children had turned their backs on her, their adopted parents and uncles had brought them up to believe in their mother’s guilt. Florie returned to America and tried to make a living by writing a book and going on the lecture circuit, but it didn’t last. She became an eccentric drifter, a Southern lady relying on the kindness of strangers, who eventually found that cats made better companions than any of the people she had ever known. 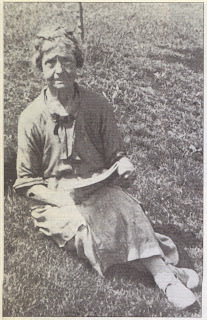 She died a pauper in 1941. As for the Jack the Ripper connection, the jury is still out. The authenticity of the diary remains a subject of hot debate and unless obvious proof one way or the other is found that will probably never change. But it makes a good story. I’m so glad I finally had the chance to tell it. As with any novel, creative liberties have been taken, but the basic framework is the truth as it has come down to us entwined with the terrible tale of abuse, madness, and carnage told in the pages of the Ripper Diary, the rest is my embroidery. Thank you so much, Brandy, for this exciting and informative guest post! This definitely sounds like a case of the truth being better than any fiction. Florie's story is a tragic one, whether or not James was Jack the Ripper, and I am so glad you have shared her story with all your readers! 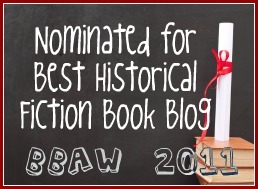 Everyone please remember that you can enter to win a copy of The Ripper's Wife by commenting on my review HERE. I will pick a winner on Tuesday, November 18th so hurry and get your entry in!